We all love long, balmy summer evenings - well now you can extend them all year round with this selection of outdoor stoves for your garden or patio. Louisiana Grills wood pellet fired barbecues please visit the product page for more information about these revolutionary new barbecues. This Outdoor Wood barbecue from the German company Ember is one for the serious outdoor chef. There are a vast array of outdoor barbecues that run on charcoal or gas, but the Ember Outdoor barbecue is different, this barbecue runs on either dry logs or charcoal, so a much more energy efficient alternative. The large fire chamber is lined with firebricks so creating a really hot interior, and between the outer wall and the combustion chamber lining is a self-ventilating air chamber, which prevents over heating of the cooker body. The cooker has four different positions so you can control the intensity of heat for cooking different foods, and there is a small chef's table to rest cooking utensils. There are optional extras including a rotisserie if you like that style of cooking. On the base of the barbecue stand there are four rollers which allow you to move the barbecue, taking account of wind direction or change of situation; you might want to move it into, or out of the shade depending on the time of day. 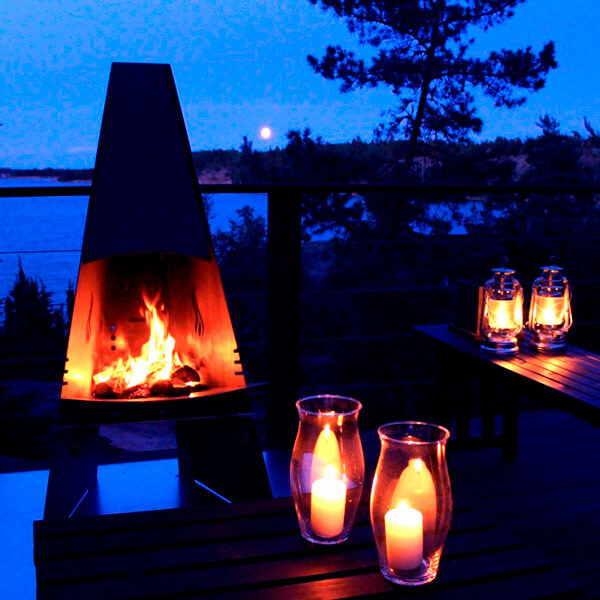 The Aduro Outdoor Fire place, designed by the Danish architect Torben Madsen, will make a stunning feature on a patio or garden terrace. There is nothing nicer than being outside on a summer's evening, but in England we so often need that extra bit of heat - chuck on a couple logs and here is the answer. The clever design incorporates a chimney which will draw the smoke up and away. 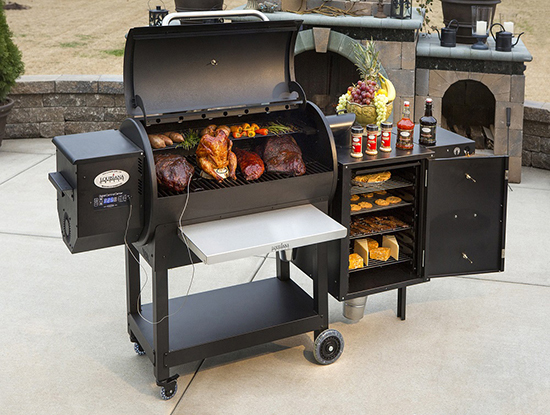 There is the option of a grill which slides into slots, so you can choose the most appropriate height for cooking. 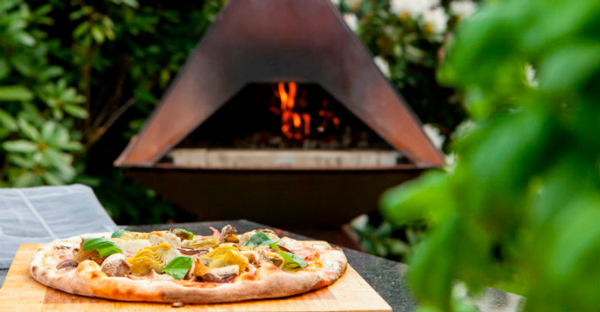 We really like the new Aduro Prisma Pizza Oven Stove. 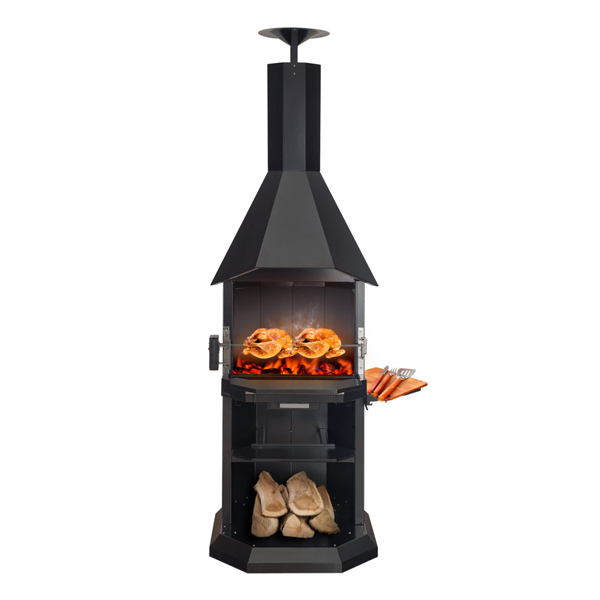 It brings a striking pyramid shape with a stone lined oven which you can heat by burning wood and then moving the embers aside to bake your pizza in seconds. When you have finished eating you can remove the door and use the stove as an outdoor fire as you sit under the open sky.